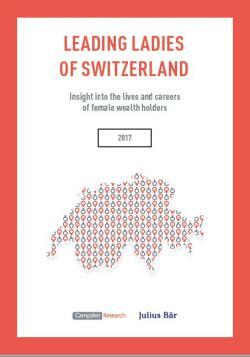 Ten in-depth interviews with female wealth holders in Switzerland were conducted. This group included a mix of women born in Switzerland, and those who relocated there at some stage. Participants’ net worth ranged from CHF 20 million to more than CHF 100 million. Some were wealth creators, inheritors, married into wealth or a blend of the three. They were also diverse in age, with two millennials, so as to gain a perspective from the next generation.